Every holiday when I was growing up our table always had applesauce. When I was really young my grandmother made it from scratch herself. 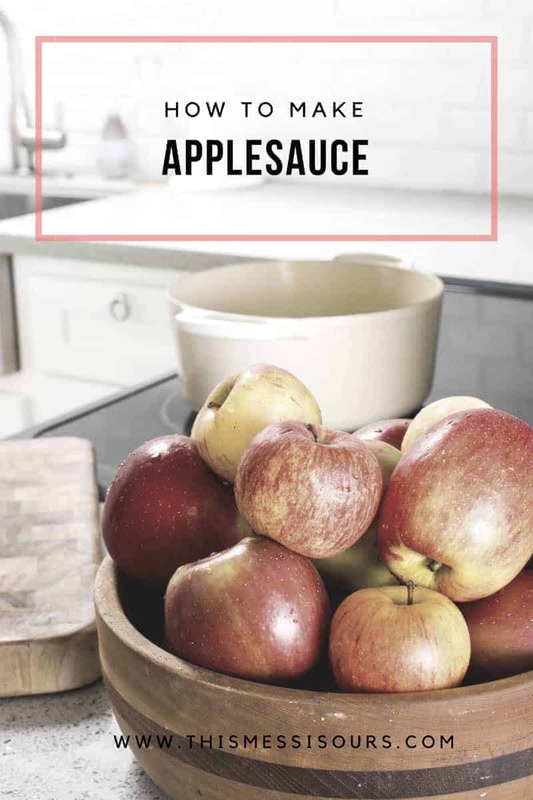 Nothing store bought can ever come close to the flavor of homemade applesauce and while it may seem like a daunting task to make your own its actually pretty simple. Once you know the basics you can change up the flavors any way you want! Don’t believe me? Just watch the video! Step 1 || Heat the liquid, sugar, and spices over low heat until the sugar is dissolved. 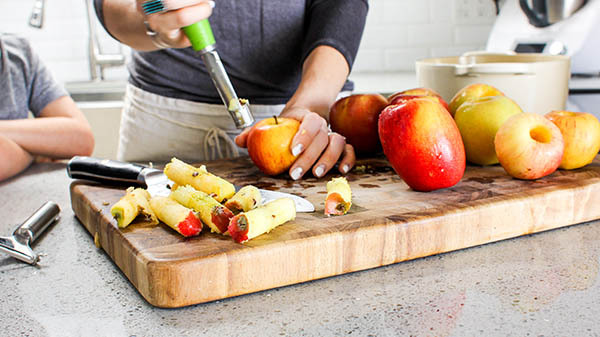 Step 2 || Core, peel, and slice the apples. 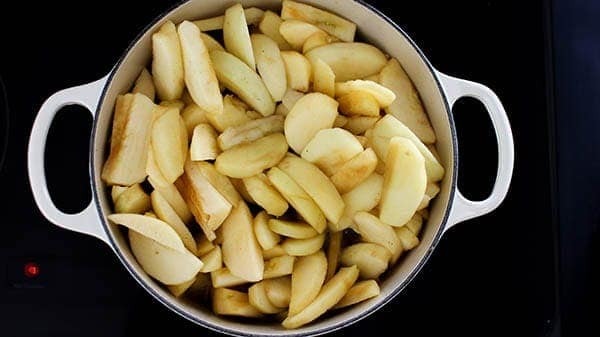 Step 3 || Add the apples to the liquid ingredients and increase the heat until simmering. 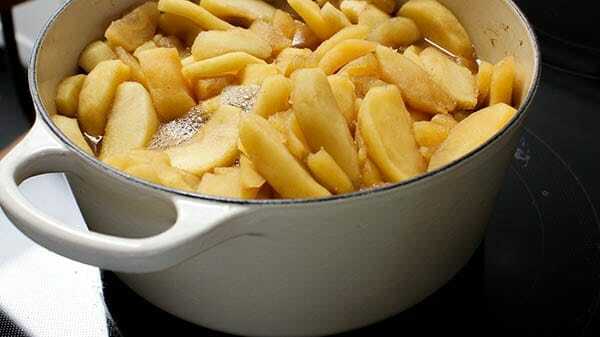 Step 4 || Cook for 30 minutes, stirring occasionally until the apples are completely broken down. 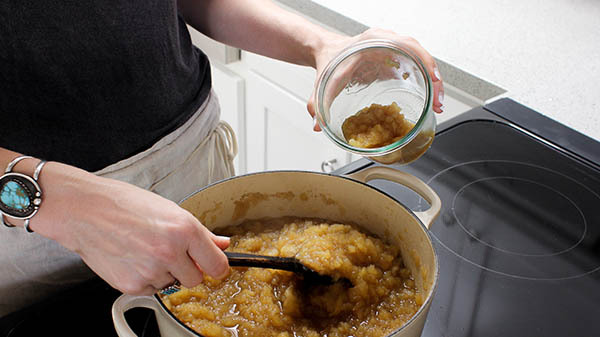 Step 5 || Mash the apples with a fork or potato masher for chunky applesauce or blend until smooth in a blender. 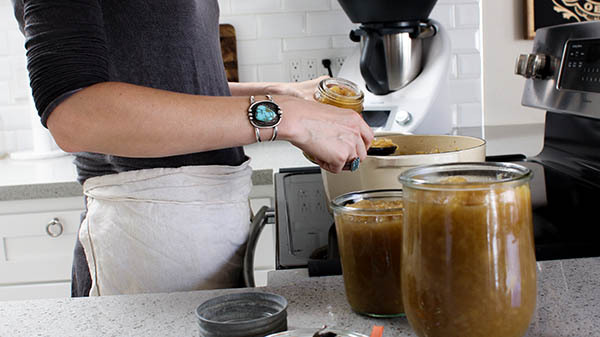 Step 6 || Homemade applesauce can be refrigerated for a week to ten days; it can also be frozen or canned for longer-term storage. Peel, core and slice apples into uniform slices, about 1/4 inch thick. Add the apples into the warmed cider mixture and turn the heat up to medium. Cook uncovered, stirring occasionally for 30 minutes until the apples are falling apart when pressed with the back of the spoon. When cooked through you can mash with a fork or potato masher for a chunkier paste or allow to cool slightly and blend in the food processor until smooth.